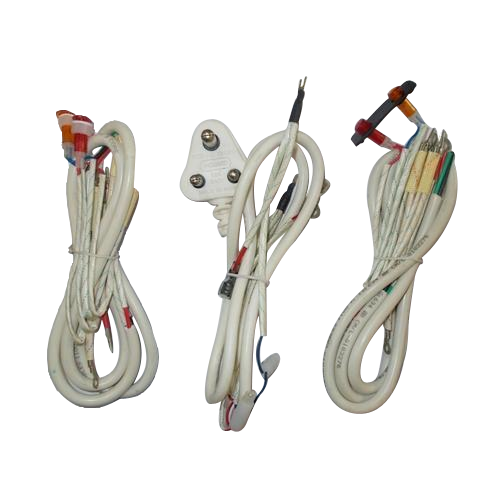 Being a prestigious business organization, we are committed to provide Geyser Wire Harness to our clients. At our well-equipped manufacturing unit, this harness is made using quality approved basic-material and progressive technology. Offered harness is widely demanded for its features such as durability and optimum quality. Furthermore, this harness is available in various specifications as per our client's needs. Our esteemed clients can avail this harness at reasonable price. We "UK Engineering & Traders" are actively committed towards manufacturing and supplying a commendable array of Wire Harness, Roller Plate, Carbon Plate, Bush Retainer, Mixi Motor, Motor Plate and Neon Bulb. Since our inception in 2010, we are a Sole Proprietorship enterprise that is located Faridabad (Haryana, India). We have developed an ultra-modern and spacious infrastructural unit which helps us in the production of world class range of products as per the global set standards. We have categorized this unit into sub-divisions like R&D, procurement, admin, sales, manufacturing, packaging, transportation, logistic, etc. In additionally, we have become the foremost preference of our clients owing to our easy mode of payment, positive records, wide distribution network, punctual delivery, etc.